In this past year, I’ve made some unlikely observations and learned a few lessons I wasn’t expecting to learn. I’ll probably save the random observations for another post, but I’d like to share one of the situations I found myself in recently. As I’ve stated before, I hired an editor for my book. I was a bit nervous about the whole process. I’ve never been in a position to hire anybody before and wasn’t sure how to go about it. So, of course, the first thing I did was research how to hire an editor and what to expect. That’s when I learned there’s a whole lot more to it than I’d originally thought. First of all, I didn’t realize there were different types of editors. Copy editors focus primarily on punctuation, grammar, and sentence structure. 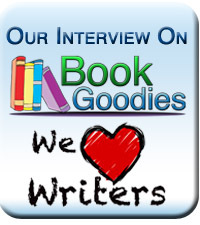 Content editors look at the overall plot, story arc, and character development of your book. I found that the content editors tended to cost more than copy editors. But what if I was hoping to have both? I’m on a very limited budget, and didn’t feel I could afford two different people. What I really needed was a hybrid editor. Did they even exist? Luckily for me, I discovered that there are editors who do a hybrid of services. However, the prices they charged ran the gamut. I found some as low as a couple hundred dollars, where as others were charging thousands. I noticed many others charged a rate per word, which made the most sense to me. However, with a first draft of roughly 130,000 words, that still ended up being a pretty hefty price tag. I don’t want to be a cheapskate and put out a sub-par product, however, I don’t want to be a sucker, either. How was I going to find a good happy medium? 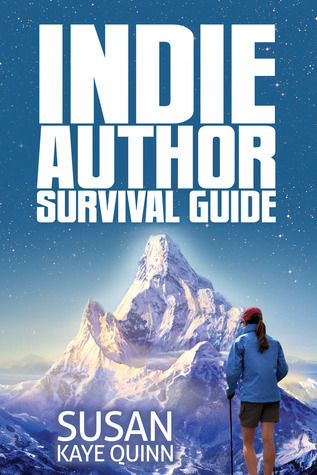 One of the references that I’ve found extremely helpful during this process is The Indie Author Survival Guide by Susan Kaye Quinn. She addresses a lot of the fears that come with trying to become a self-published author and her writing is exceptional. Another reason I find it so invaluable, however, is that she has a list of vendors and references in the back broken down by service. So, I decided to check out her list of editors and see if any looked like a good match for me. I found someone that looked fairly promising and reached out to her. She was quick to respond and I liked her warm, accessible tone. Unfortunately, despite the fact that her rate was very reasonable, it still ended up being quite a large sum of money. I was hesitant to commit to her, especially since she was the first and only editor I’d spoken to. So, I decided to open up my parameters. I found two other editors through networking. One, I had been friends with via Facebook for years. We had met through our mutual admiration of Hugh Howey and similar interests on the message boards. 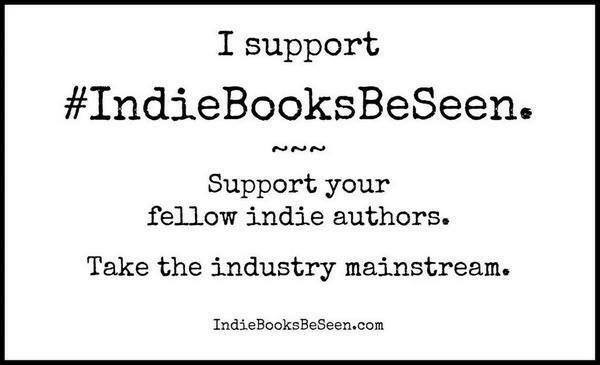 I also knew that she had edited quite a few of my other author friends’ books with glowing results. It didn’t hurt that she also cost about four hundred dollars less than the first editor. The last editor I found was through my local writing group. We’d met quite a few times through various NaNoWriMo write-ins and had always gotten along well. She has an amazing sense of humor, and I’d always appreciated the writing samples she shared with our group. However, I was a little hesitant to work with a real life acquaintance. I didn’t want there to be any negative repercussions if I ended up not choosing her. Or if I did hire her and we had a difference of opinion, I wasn’t sure how that would work out. In addition, her pricing was a little different than the other two. Instead of charging per word, she charged per hour. This left me a little leery, because there was no way of knowing just how fast she’d be able to get through my script. I could end up paying a very large sum of money. All three of them were good candidates, each with their own strengths. How was I going to decide between them? I posed the question to a community of indie authors via a Facebook page I belong to and they all suggested I should send a sample to the three editors. It would help me make a judgement call on the quality of editing performed, as well as their tone and style of work. So, I sent off the first ten pages to all three women on a Thursday and asked them to get it back to me by the end of Sunday. That process let me eliminate one editor right away. All the comments she made were very constructive, but I could see immediately that our styles were not compatible. The other two editors were much more difficult to choose between. They were both very strong. The comments hit the perfect tone of honesty, but without the bite. I felt like I was learning something as I read their notes. Ultimately, I decided to go the practical route and chose the less expensive of the two. One of them had gotten her ten pages back very quickly on Friday night. The other had sent hers back Sunday afternoon. This probably should have been an indication to me, but at the time, I figured they had both made the deadline. After informing all the parties involved who I would be hiring, I excitedly sent off my bulky first draft to the editor. My editor had warned me she was wrapping up a project for another author and that her response may be slow at first. I figured this was what she had been referring to. Besides, we’d been friends for a few years online, and I knew the author she was working for. I’m a pretty patient person and I wasn’t too worried. Instead, I decided to focus on other things I knew I’d have to finish before publishing. Such as writing my book blurb. Or, starting this author website. I had plenty on my plate to keep me occupied. However, as the days kept disappearing on the calendar, I started getting a little antsy. I wrote to her to see how things were going. I tried to hit just the right tone of chatty while still asking her what the progress was. She responded and we had a very nice conversation, but I was still left without any returned chapters. That’s when I realized, I had a problem. I needed to learn how to set clear expectations and express them firmly and politely. I needed to learn how to be an employer not just an employee. For someone who tends to avoid confrontation, this was quite a challenge! After a month, I had only received ten chapters back. Initially, I had only sent her the first half of my book with the understanding I’d send her the second half once it was finished. I started thinking about that fact that I wanted to publish in April, and I had no idea when I was going to get this first edit finished. I started losing sleep and feeling panicked. Obviously, I needed to address this. But, I HATE confrontation! What was I going to do? So, I went to my sister, who is a project manager, and got her advice. First, she questioned why I thought setting firm expectations meant confrontation. I realized that it didn’t. Then, she gave me a few pointers on how to have an open dialogue, where I can express my concerns, communicate my needs, and create specific timelines. Taking what I learned, I sent off an e-mail doing exactly that. And, lo and behold! It worked! I got a positive response apologizing for the time delay, committing to the goal of having my first edit finished no later than March, weekly updates every Friday with whatever work that had been accomplished, and all without confrontation. So, a few valuable things I learned during the course of this. First off, set an end goal but make sure to have some intermediate timelines in place. Communicate those expectations from the onset to avoid any heartache or confusion. And, being firm about what you need does not necessarily mean you have to be confrontational. In fact, by starting with a set of parameters from the beginning, you can better avoid ugly situations in the long run. Great post Satin. You are forging the path ahead for us linger behind. For that, I thank you. I think your positive attitude makes all the difference when learning to deal with the editing process. Lynne, you’ve been so incredibly helpful. I honestly don’t think I would have been able to drum up the courage to see this adventure through if it hadn’t been for you and the Wrinos’ support throughout the past year. Sounds like a good lesson learned! How exciting that you are getting closer and closer to the finish line. Yay! To be honest, it feels a little surreal, Bethany. 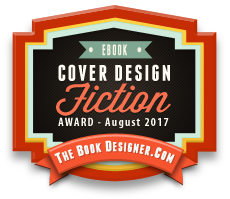 I can only imagine what it’s going to be like when I actually get a cover to look at!